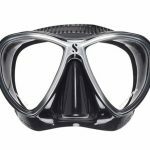 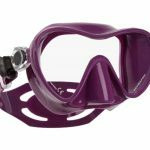 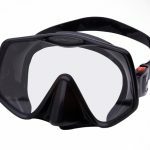 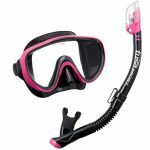 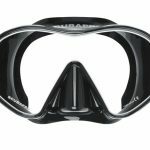 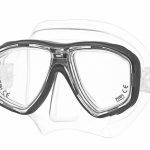 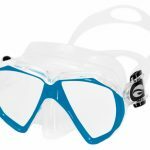 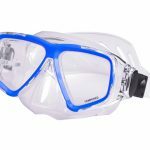 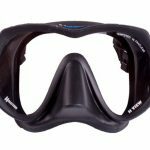 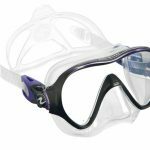 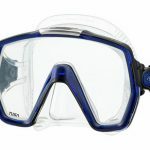 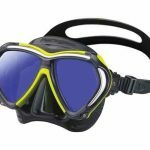 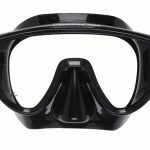 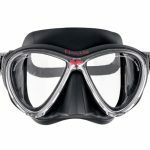 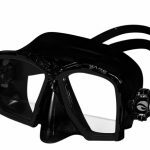 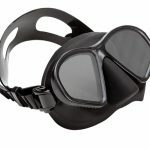 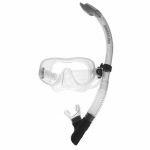 Scuba diving mask come in all shapes and sizes, there are low volume mask which are easy to clear and popular among snorkelers and free divers. 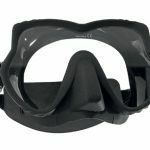 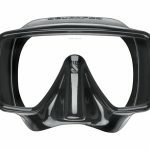 Dual lens mask which have the ability to add prescription lens to allow the diver to see better. 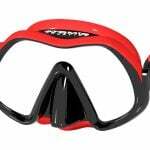 All good quality dive masks should offer 100% silicone, not a silicone based mask which tends to turn yellow and get hard. 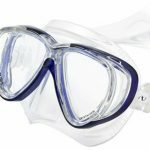 With a pure 100% silicone mask this offer a hypoallergenic seal that will last for years. 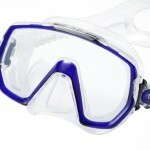 You also want a good quality lens on the mask which uses tempered glass. 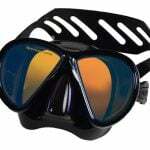 The clarity is also very important a good dive mask should allow at 94% of the available light to reach your eyes.